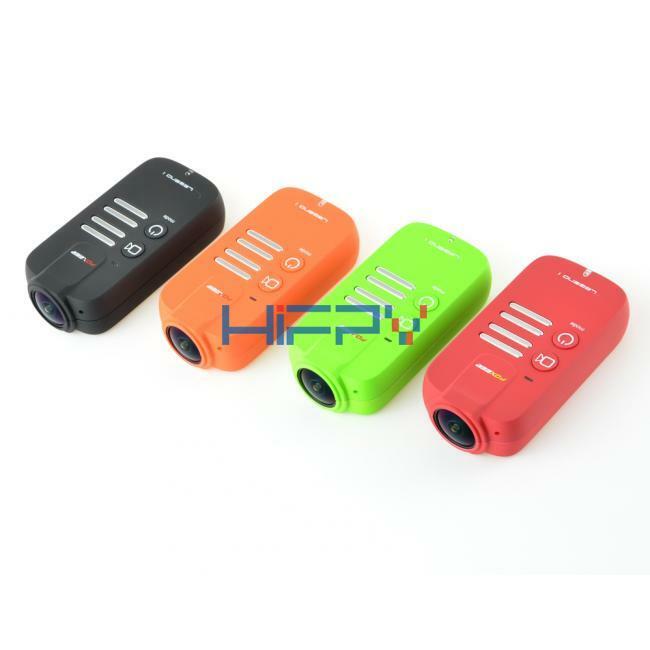 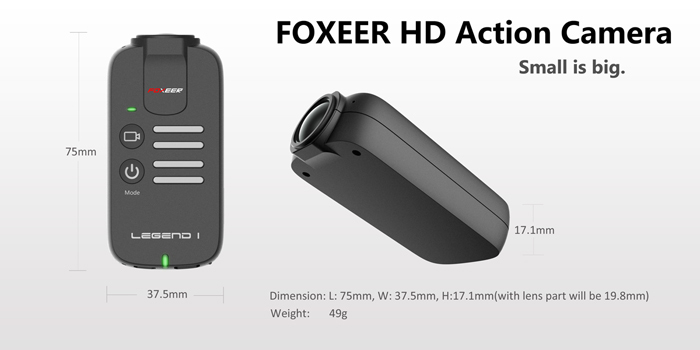 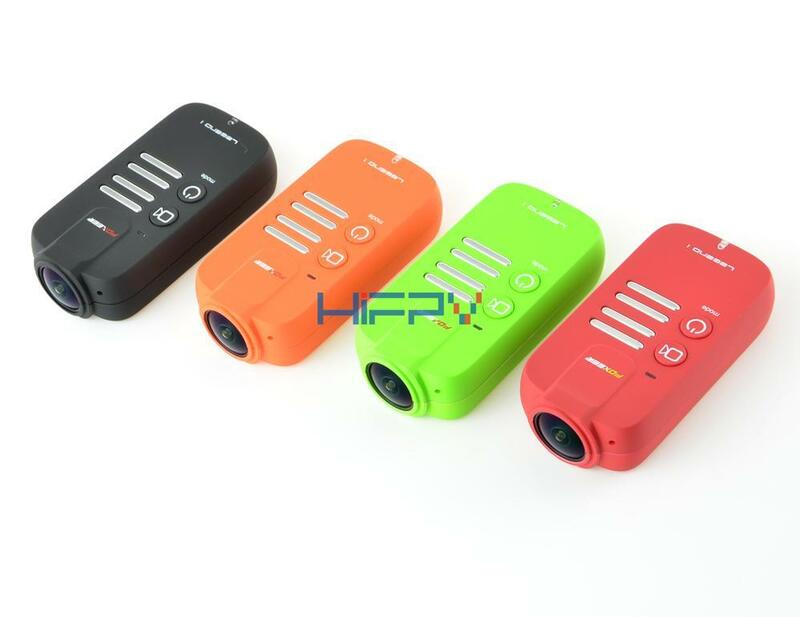 FOXEER action camera is tiny and light at only 49g. 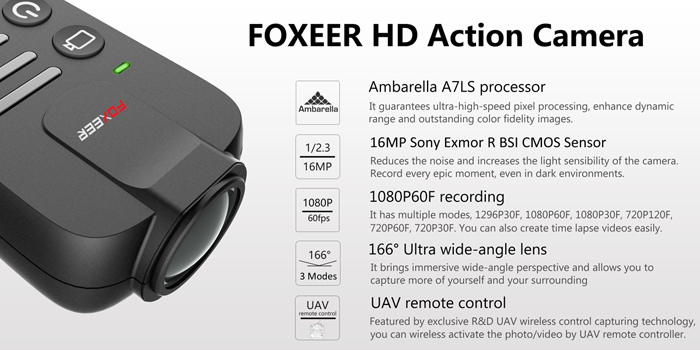 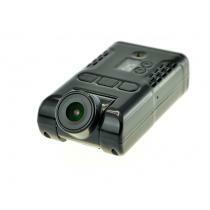 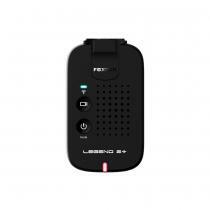 It'sequipped with a Ambarella A7LS processor and 16MP Sony ExmorR BSI CMOS Sensor. 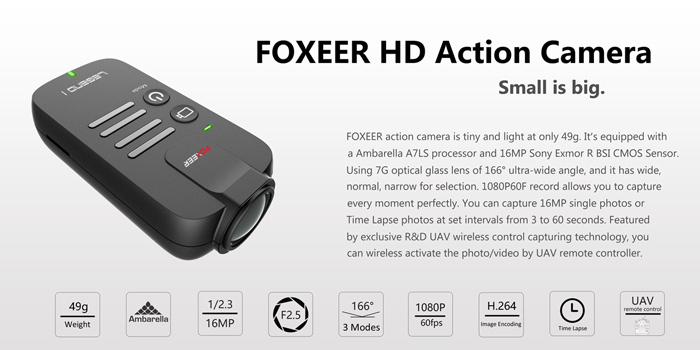 Using 7G optical glass lens of 166°ultra-wide angle, and it has wide, normal, narrow for selection. 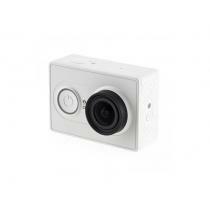 1080P60F record allows you to capture every moment perfectly.You can capture 16MP single photos or Time Lapse photos at set intervals from 3 to 60 seconds. 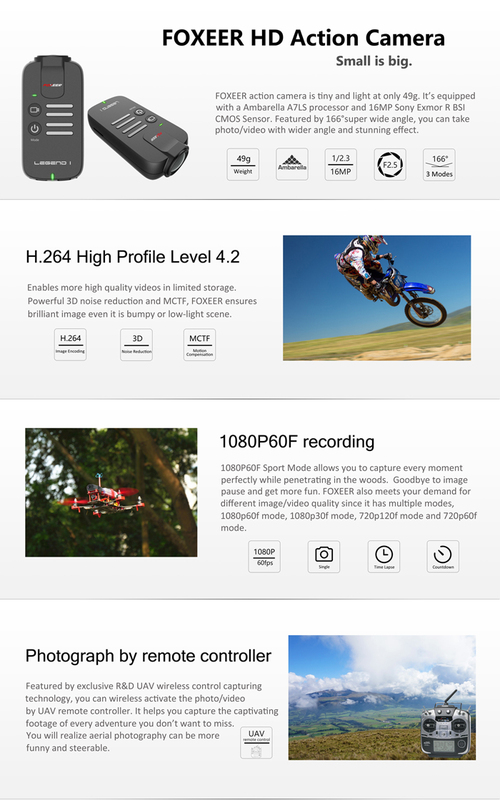 Featured by exclusive R&D UAV wireless control capturing technology, you can wireless activate the photo/video by UAV remote controller.